Google Assistant vs Amazon Alexa - Who is leading the AI race? Smart assistants were all over CES 2019. As Google, Amazon, and their various partners unveiled new services and technologies, it seemed one AI assistant or another had a role to play in a large proportion of the stuff we saw at the Las Vegas show. It was Google Assistant vs Amazon Alexa and no holds were barred. This makes sense. The still nascent smart speaker market is growing rapidly, having ballooned to nine million devices sold in Q1 2018 versus just 2.3 million in the same period the year before. The stakes are high too: Google has positioned itself as an “AI-first company.” That Amazon’s Alexa still has a higher install base could be seen as a little embarrassing. The good news for Google is its ploy seems to be working. In Q1 2018, Google sold over a third of all assistant devices. The same thing happened in Q2 when Google managed to sell 5.43 million smart speakers versus Amazon’s 4.12 million Echos. With a huge push this year at CES, it seems that we’re not going to be able to avoid speaking to Google in some form or another in 2019. Of course, Google wasn’t the only one showing its hand at the event. Amazon was determined not to be outdone — matching Google every step of the way in quantity and diversity of services, and products on offer. So now the dust has settled on the show and the involved parties have assembled armies of assistant-powered devices for the coming year ahead, who is on top? Google is trying to get as many third party manufacturers and services involved with Google Assistant as possible. Right now, over 1,600 home-automation brands and 10,000 devices are compatible with Google Assistant. This is just the beginning. 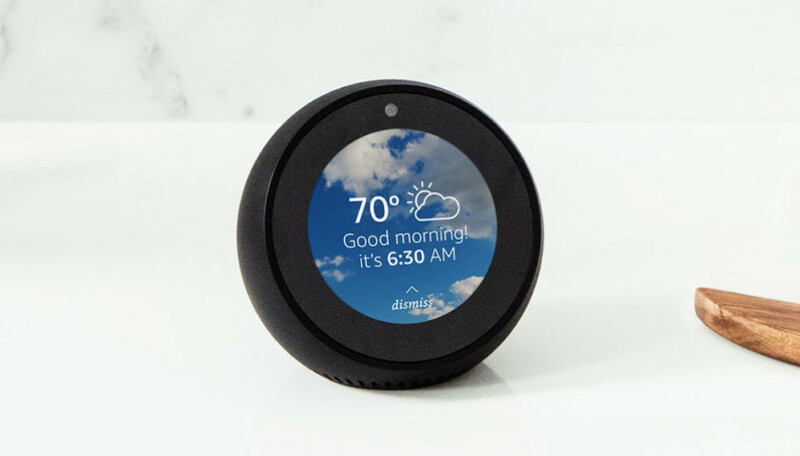 To further its cause, the company has introduced Google Assistant Connect, a set of tools to make it easier for manufacturers to add new features to their devices by linking them to an existing smart speaker. In fact, tinkerers and hobbyists may even be able to get in on the action. This is just one example of what Google Assistant Connect can make possible. The company showed off two proof of concept examples at the show: an e-ink display that pulls weather data and other information from the service, and a simple 3D printed button that could be used to trigger a number of different actions. When it comes to choosing between Google Assistant and Amazon Alexa, this could just sway OEMs in the former’s favor. Makers can sign up for Google Assistant Connect here. Several more companies have already jumped aboard the Google Assistant train. 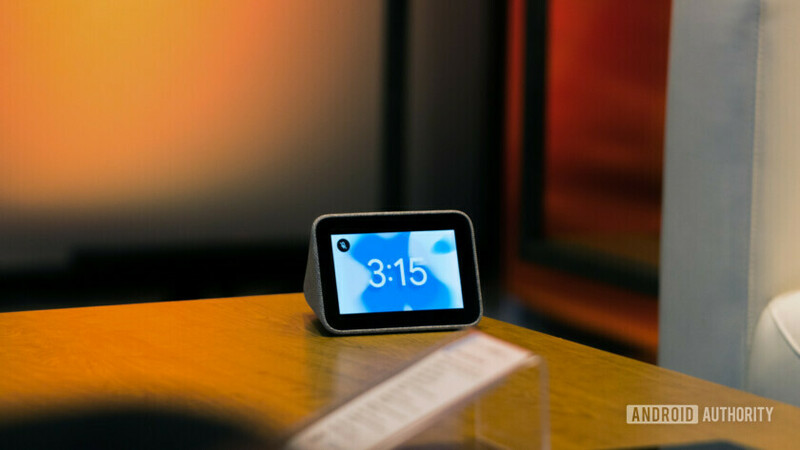 The Lenovo Smart Clock aims to help users form good habits and routines. Flo by Moen is a water sensor with Google Assistant support. The platform will even be able to help you charge your electric vehicles through eMotorWorks’ Juicebox Level 2 and SolarEdge’s EV Charging Solar Inverter. Philips Hue announced a new Wake and Sleep lighting effect, which will allow you to add alarm settings to help you wake up fresh or wind down for the evening. 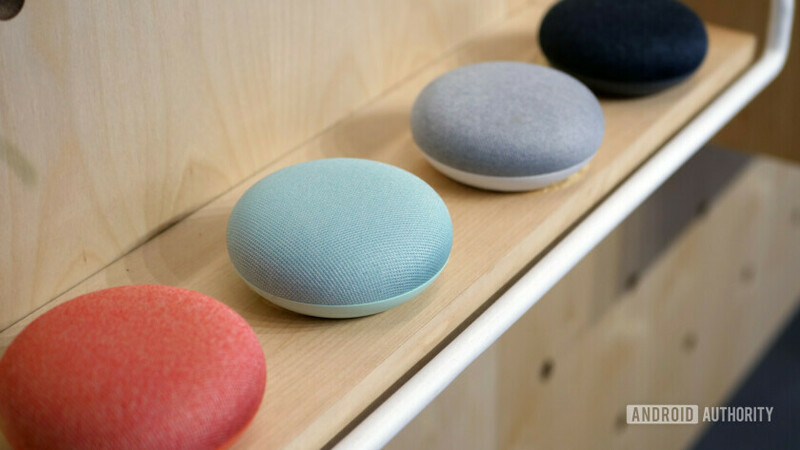 House of Marley The Get Together Mini with Google Assistant smart speaker is capable of multi-room playback via Google Cast. Not even the bathroom is safe. U by Moen is bringing AI to the shower. Simple Human even announced a smart mirror. It’s all very sci-fi. As for entertainment, Sonos One and Sonos Beam are new models from the OEM that will allow users to control music, podcasts, and radio by voice through the Assistant. Even potential competitor Samsung is showing Google some love, letting Assistant live in its new TVs. Why it didn’t choose Bixby is anyone’s guess — maybe because it’s still a bit of a hot mess. Likewise, Sony, Hisense, Philips, TCL, Xiaomi, JVC, Toshiba, and more will all be bringing Android TVs to market that will have Google Assistant support and in some cases far-field microphones. So, whether you’re cooking, watching TV, showering, or charging your electric car — you may well need to speak to Google to do it. Hey Google, who is the fairest of them all? Assistant won’t be confined to your home either. It’s coming to car accessories from the likes of Anker Roav Bolt and JBL Link Drive. Google Maps is also going to get better Assistant integration (finally! ), allowing you to send messages, get directions, pause navigation, and more. The real burn is this will also work on iOS, after Apple blocked Google’s attempt to integrate Assistant shortcuts into Siri. Oh, and messages sent via Google will now also be automatically punctuated. Whether you’re cooking, watching TV, showering, or charging your electric car – you may well need to speak to Google to do it. Google Assistant is also going to be adding new functionality in-phone. That includes auto-translate, more access via locked devices, and more. The Google Assistant vs Amazon Alexa fight is far from over, however. Amazon isn’t resting on its laurels and is more than ready for a grudge match with a bunch of Alexa products in tow. I experience that every morning when I misplace mine, and it is not magic. Apparently, this is better. The original idea behind this was to let Amazon deliver purchases inside homes, which is creepy. Now the concept has pivoted to providing full access control and monitoring for homes and garages, using devices like Schlage’s Encode Smart Wi-Fi Deadbolt which starts shipping on March 5, as well as several other locks, keys, cameras, and doorbells. Ring (owned by Amazon) Smart Lighting will provide wired and wireless floodlights and other outdoor lighting with motion detection and alerts sent to users’ smartphones. The Door View Cam covers the peephole and lets you see who is outside your house. The service is only available in some parts of the U.S. currently, but it’s clearly a key focus for the company going forward (sorry). As for broader smart home features, Alexa seems to have covered pretty much every base. Recent OEMs to join the fray include Arris which will provide Gigabit Wi-Fi performance through its tri-band Surfboard Max Pro Mesh Wi-Fi System, and Currant with a new smart wall outlet. D-Link is adding voice control to its Exo routers through a partnership with McAfee, and Gourmia hopes its small kitchen appliances will become more intuitive with Alexa integration. We have a voice controlled dimmer switch from Leviton, more smart lighting and a ceiling fan from Lutron, more showers from Moen, and — while we’re in the bathroom — Kohler is even bringing a voice-controlled toilet that can flush, close the lid, and play your favorite tunes, because why not. Then there’s a new Ironpie robot vacuum by Trifo, and a voice-enabled countertop oven from Whirlpool. Nothing is safe from the AI takeover! Asus, Archos, Jabra, Hisense, LG, Optoma, and others will be adding Alexa to their speakers, TVs, and home entertainment systems. Lenovo is even introducing what could become an entirely new product category with “Smart Tabs” – tablets with Alexa support built in that turn into touchscreen smart speakers like the Amazon Show when plugged into a dock. Drivers will be able to talk to their cars via smart dashboards from Boss Audio Systems, Abalta Technologies, Here Technologies, Qualcomm, and others. Some of the more “out there” integrations (other than the toilet which I still can’t get over) include a smart bike from Cybic which will use Alexa to provide traffic information and lighting control, and Petcube which will let you keep an eye on your furry friends and even fling them treats remotely! While we knew about it before CES, the cute Vector robot from Anki now also has Alexa support as of Dec. 17. Speaking of robots, startup Robomodix unveiled a terrifying talking robotic head for Alexa, called Alena, designed to provide a more human interaction for your smart speaker. The objective is to provide some human-like interaction for those that could benefit from it, as well as to help get people used to speaking to automatons. In short, if it doesn’t come with Google Assistant support, it probably uses Alexa. Chances are that in the coming years, most of us will have devices with both assistants built in, so we better get used to talking to multiple AIs! What about Samsung and Apple? This race isn’t just a matter of Google Assistant vs Amazon Alexa. Samsung has integrated Google Maps and Google Play with Bixby and is talking about Gmail support. Siri/Apple HomeKit also made a few appearances. The U by Moen (shower, remember?) will be supporting HomeKit soon, while the Eve Energy Strip will provide protected power outlets for the platform. Ikea, Honeywell, LG, and Sony also got involved with HomeKit/Siri-enabled products. Likewise, Vizio will be retroactively adding HomeKit support to old TV models dating back to 2016 — possibly as HomeKit integration is code-based and doesn’t require any specialist chips, which is a big advantage for Apple. Like Amazon, Apple is also introducing smart locks to its repertoire, and a smart doorbell from Netatmo. There’s also a smoke detector and some power outlets, but frankly there wasn’t anywhere near the variety that we saw from Amazon or Google. Cortana was a complete no-show, and Microsoft has recently explained that it no longer views Cortana as a potential competitor for the other two platforms. Google Assistant vs Amazon Alexa: who is winning? So that’s an awful lot of new talk and buzz around home assistants. Who is in the lead? While Apple had a decent presence, it really wasn’t the talk of the town either. This could well be down to just how closed off Apple’s ecosystem is. If you don’t have an iPhone, your options are limited. Apple HomePod sales have been disappointing, too. So, it really comes down to Amazon vs Google — Alexa vs Google Assistant. In terms of sheer numbers and presence, you might come away from CES coverage feeling like Google had the lead. Both companies were literally everywhere, but Google had far more interesting things to say with the Assistant Connect initiative and a lot of general buzz. It also boasted of bigger numbers. Google says in total, they are on track to have one billion devices out in the wild with Google Assistant integration by the end of the month — and with Assistant Connect, that number could be even higher. That’s compared with the 100 million currently supporting Alexa. The numbers tell an interesting story when it comes to the history of Google Assistant vs Amazon Alexa. However, this isn’t really a fair comparison, as it includes things like smartphones and varying levels of integration. In terms of “full fat” home AI assistants, the race is likely much closer. Amazon was keen to share some of its own milestones too, including 30 million active Fire TV users, integration with 28,000 third party devices, and 150 products with Alexa built in. Alexa now also apparently has over 70,000 certified skills. Alexa is still leading in terms of total numbers when it comes to home assistants and smart speakers too. Both competitors also have significant unique advantages over the other. Google has an instant win by being integrated into phones, but Alexa has Prime movies and music. Google has superior search and maps, but Alexa is intrinsically tied to the largest online retailer in the world. Google won CES 2019 by a hair. So really, neither of the two big assistants is conclusively “in the lead” right now. I hate cop-out answers, so I’ll say this: objectively, Google probably won CES 2019 by a hair. Alexa wasn’t far behind and is still technically in the lead by certain metrics. It’s also still my personal favorite. So, there’s that. Which one you’ll likely be speaking to most in 2019 is still anyone’s guess, although it will definitely come down to Google Assistant vs Amazon Alexa. Who is your money on?